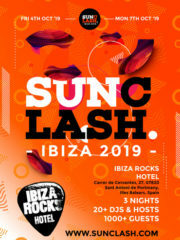 SunClash will entertain thousands of party goers on an annual getaway at the world famous ‘Ibiza Rocks Hotel.’ Where all party goers will be in one flawless venue to enjoy and take in the ambiences in one space. Party after party is what this event is all about! Each day there is a day party and also a night party, combined with an optional boat party. All parties will be uniquely themed to generate the best party atmosphere and bring everyone together to witness top-ranked DJs go head-to-head in clash battles. SunClash will be arguably the most unique party experience you will ever witness – catering to your needs giving you the best in all urban genres Inspired by Caribbean culture. Our primary goal is to develop a progressive network of thousands of urban culture followers, from different parts of Europe who want to travel together for the same cause. 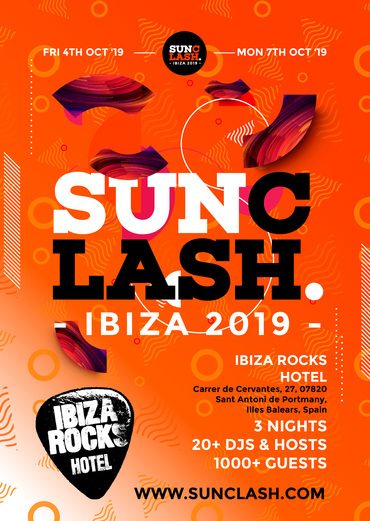 Deposits for SunClash 2019 will be £50 The final balance date is Friday 5th July 2019. If final balance is not settled by this date you will incur a late fee £25 or could result in the booking being cancelled.